Definition at line 100 of file util-file.h. Definition at line 101 of file util-file.h. Referenced by DetectEngineStateResetTxs(), DetectFilenameRegister(), FileAppendDataById(), FileAppendGAPById(), FileCloseFileById(), FileContainerAdd(), FileContainerFree(), FileContainerRecycle(), FileDisableFilesize(), FileDisableMagic(), FileDisableMd5(), FileDisableSha1(), FileDisableSha256(), FileDisableStoring(), FileDisableStoringForTransaction(), FilePrune(), FileStoreAllFiles(), FileStoreAllFilesForTx(), FileStoreFileById(), FileTruncateAllOpenFiles(), HTPFileClose(), OutputRegisterFiledataLogger(), OutputRegisterFileLogger(), SMTPParserCleanup(), and SMTPProcessDataChunk(). Definition at line 102 of file util-file.h. 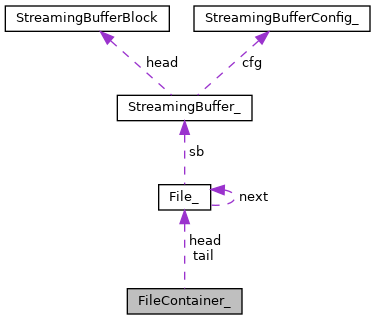 Referenced by FileAppendData(), FileAppendDataById(), FileAppendGAPById(), FileCloseFile(), FileCloseFileById(), FileContainerAdd(), FileContainerFree(), FileContainerRecycle(), FileContainerSetTx(), FilePrune(), FileSetRange(), HTPFileClose(), HTPFileOpen(), and SMTPProcessDataChunk().